You'll be surprised by how easily a DEFENDER DVR Security System operates. The menu provides prompts and coaching to assist you in customizing the settings for your recording needs. Use your choice of mouse or remote for navigation of the easy-to-read icon-based menu. Its so simple to use it will even begin recording as soon as its plugged in. 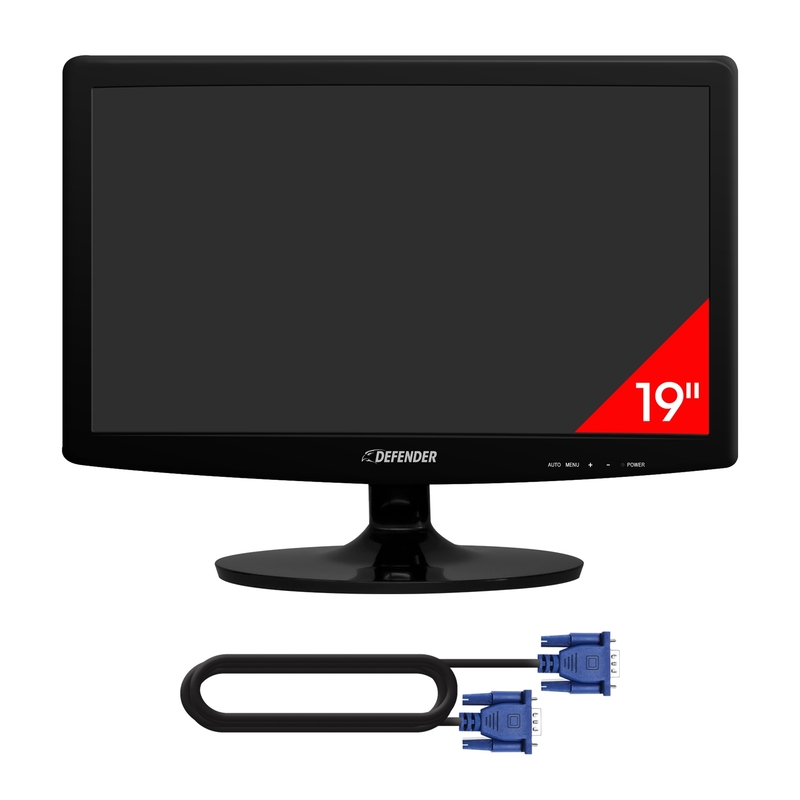 Have it all with a DVR surveillance kit that includes a super slim 19" LED monitor. Connect easily to your DVR system and begin viewing in seconds. 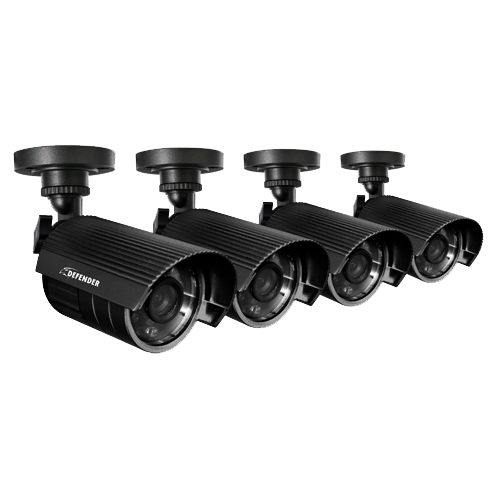 View all cameras in full screen, quad screen, picture in picture or sequence by simply adjusting the DVR settings. Instantly know if any suspicious activity is happening on your property. This system will send you an email alert, complete with a photo of the activity, if any motion is detected or if cameras experience video loss. Even if you aren't watching when something happens, you’ll know immediately if something is wrong. The included 500GB hard drive allows for continuous monitoring and can store over two years' worth of recorded footage! Your DVR will send an alert when your memory space is full so you can choose to overwrite old video or stop recording. Back up and transfer your video footage with a USB flash drive or external USB hard drive with the built-in USB port. And if you need to expand your storage even further, you can choose to record only when motion is detected. 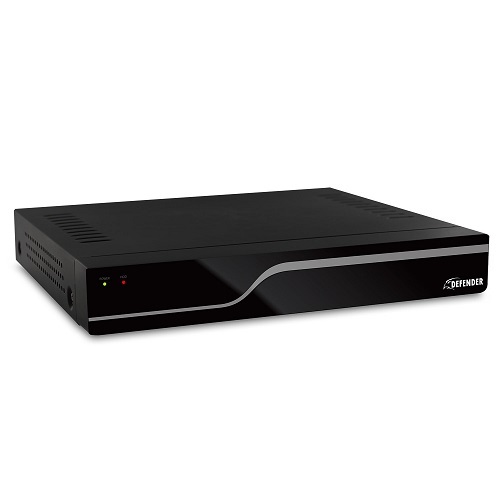 This DVR uses H.264 compression which maximizes recording time, transfers data more efficiently over the internet and you’ll use 50% less storage space than traditional compressions - MPEG4, MJPEG - while still benefitting from high-quality imagery. We reserve the right to change models, configuration, or specifications without notice or liability. Product may not be exactly as shown. ©2013 DEFENDER®. All rights reserved. DEFENDER®, the DEFENDER®, logo and other DEFENDER® marks may be registered. All other Trademarks are the property of their respective owners.